I am an incoming Freshman. I will be majoring in Middle/Secondary Education. Although I am a resident of Louisville, Kentucky, the move is still dreadful for my family and I. I may not be going far from home but the transition is a change that definitely comes with some stress. Incoming Freshman all over the nation are anxious to finally move into their dorms! When not done correctly, this significant milestone can bring about some unnecessary stress for both the new college student and their parents. With the countdown nearing closer and closer, the more questions arise regarding the best way to transition into the University of Louisville. 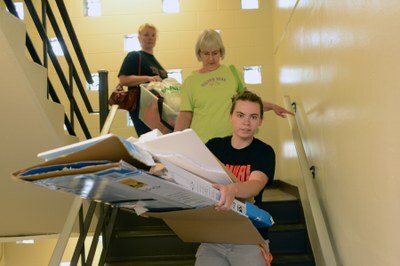 Here are some housing and prep tips for UofL’s incoming freshman and their nervous parents. Tip #4: Begin/complete your Academic Orientation General Ed. Modules! The “first year initiative” modules are a way to give you viable knowledge of campus life, the layout, where and when you can receive academic and psychological aid. These modules are assigned to you on Blackboard under your General Ed. Course depending on your major, whether you are an Honors or Cardinal Covenant student.